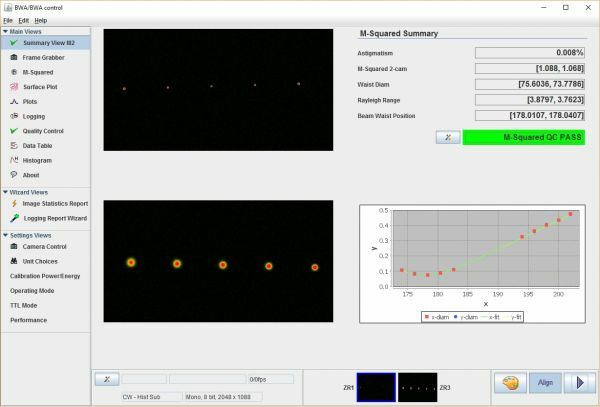 The Beam Waist Analyzer Camera (BWA-CAM) laser beam analyzer system and software enables “real-time” laser beam measurement, analysis and monitoring of high power CW and pulsed lasers. The system design is based on the international standards ISO 11146 and ISO 13694 which relate to lasers and laser related equipment and laser beam spatial metrics. 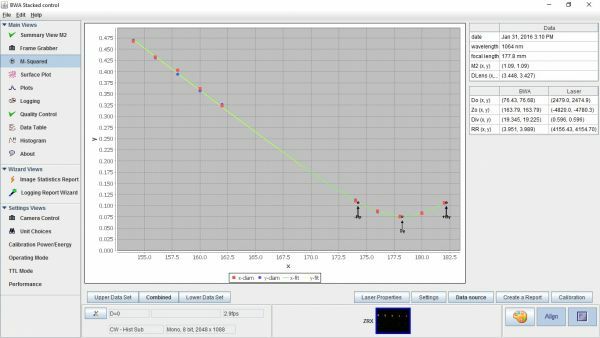 In every laser application, the laser beam profile provides valuable information for the most efficient use of the laser. 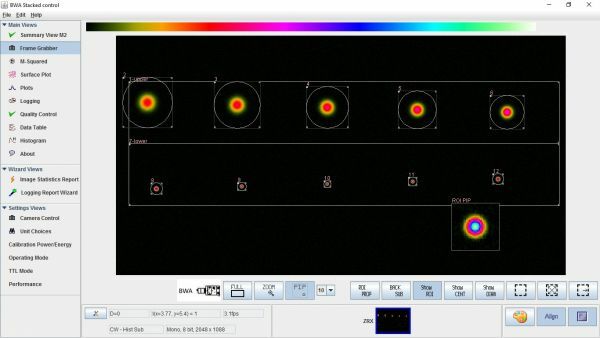 By monitoring the laser beams spatial profile, circularity, centroid, astigmatism and M2 values, you have early warning of any problems with the laser and entire beam delivery optical system. This relates to increased quality, process reliability, and reduced scrap. The Laser Beam Analyzer system is modular in design and can be configured for most applications and laser wavelengths. The design contains no “moving components” and provides instantaneous measurements and analysis of the laser beam and all active optical elements. The BWA-CAM is simply placed after the laser focusing lens of the system under evaluation and adjusted until the beam waist can be seen in the primary region of interest (ROI). The smallest spot is located about midway in the series of spots (see image to the left). Once the multiple spots, each one a spatial crossection along the beam waist, are nearly horizontal, the software automatically tracks and sizes the ROIs for accurate M2 measurement. 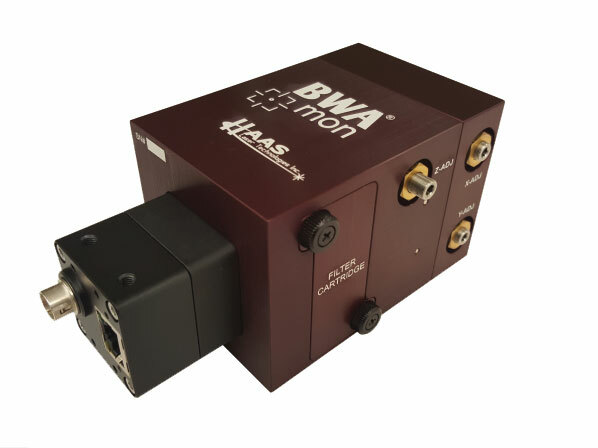 The Beam Waist Analyzer Camera (BWA-CAM) can measure the laser beam waist metrics for any focal length of >100mm or more without a focus adapter. Lens systems with focal lengths <100mm will require an optional focal length adapter which mounts into the entrance port of the BWA-CAM or optionally use the short body BWA-CAM. Watch inventor Michael J. Scaggs of Haas Laser Technologies give a brief overview of the Beam Waist Analyzer.